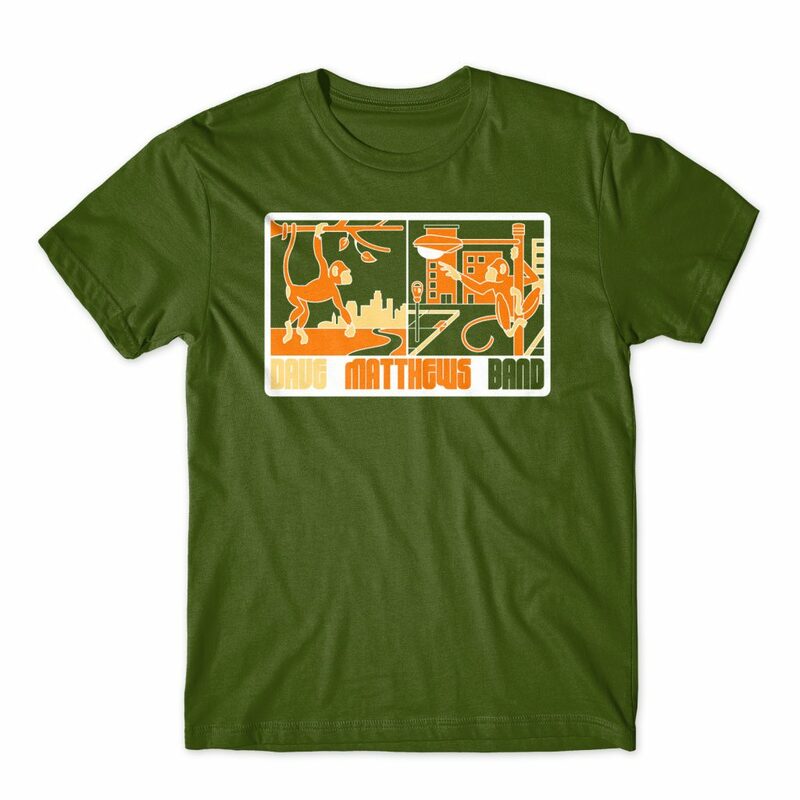 T-Shirt Design for Dave Matthews Band. I created this design based on the Dave Matthews Band song “Proudest Monkey.” To me the song represents a country mouse/city mouse allegory. Here we are these modern day primates looking for our own origin of species but doing it in the most peculiar of ways – the concrete jungle and information super highways. Can one live a simple life surrounded by car horns and skyscrapers? How do we live in the world but be not of it? Dave waxes anthropology in this one of my favorite DMB tunes. Swing from limb to limb while listening to her here.